Written from four diverse viewpoints, A Woman's Place is an emotionally rich glimpse of life in World Ware II America. Lynn Austin's three Christy Awards include one for Hidden Places, which was made into a popular Hallmark film. 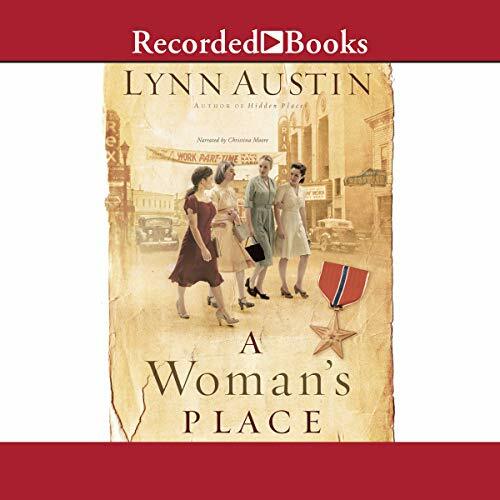 I am new to Lynn Austin books and took a chance because I was interested in the home front during WWII. The story telling is excellent. The characters are developed masterfully--subtly drawing the reader into a tale of strength, change in adversity and the importance of finding friendship in unlikely places. Austin repeatedly shows how things are not always as they seem on first glance. Ideas of roles, expectations and preconceived notions are examined through the daily lives of the characters. It was a positive, redemptive story that was honestly told and completely engaging until the end. A pleasure. Narrator did a fantastic job of distinguishing between all the characters. I would have rated the story five stars if it had not been for the author ending the story very abruptly and left you wondering if there is going to be a sequel - some unanswered questions. Very much enjoyed the story line. Lynn Austin is just sooo good! She has a way of really getting the reader involved in the time period in which her stories are set. She also truly brings life to her characters...it makes you want to know them personally. And of the course the cherry on the top is the spiritual inspiration for those of us looking for Christian novels. Awesome book. Absolutely! This story took me on an unexpected journey that touched so many parts of my book lover's soul. The ability of this author to entertwine these 4 women's varied lives into a rich friendship despite their many obstacles. I felt like the sneaky "bug on the wall" when Rosa's vodka laced peach juice was included in the punch ingredients by her unknowing mother-in-law for her Ladies Missionary Society meeting at her house. I so wanted to join in the rollicking fun as these ladies loosened and giggled their way through the meeting. I'm sure it was touted as the best meeting ever! 2ndly...actually another 1st fave. The scene where Meinhard Kesler, a German POW working next to Jean (who harbors a deep hatred and resentment for Germans) humbles himself and asks her forgiveness for "whatever it is I have done to make you hate me". Kesler recognizes her bitterness as he was once the same...he lost his wife and son to the same war. Jean is unable to accept his plea for forgiveness. The mix of conflictive emotions this interaction brings about has powerful affects. It is dealt more with later in the book. Wow! My emotions were all over the map on this one...in a good way! 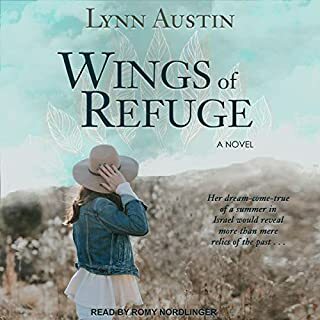 My first Lynn Austin book has given me an exciting new favorite Chritian fiction author with many adventures to look forward to! Love when that happens! Would you listen to A Woman's Place again? Why? Absolutely! This book captures the changing attitudes toward women's roles in the workplace and in the home, depicting four very different friends' actions realistically but not without hope. Christina Moore does an excellent job with the emotions, the characters... all-round great narrator at the top of her game. What was one of the most memorable moments of A Woman's Place? Fantastic inspirational read! This book, while primarily from a Christian viewpoint, neither demeans women by insisting that they should only be in the home nor feeds them the lie that they can have it all. 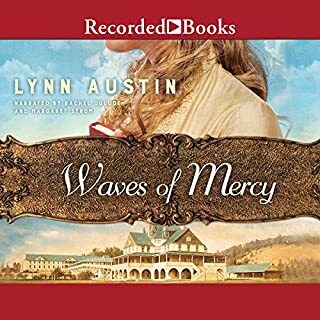 Great work, Lynn Austin... and fantastic narration, Christina Moore! 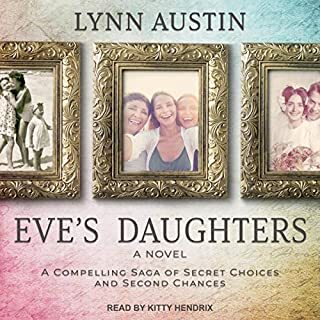 Lynn Austin is a writer that comes along once in a lifetime. Each of her books are the best. 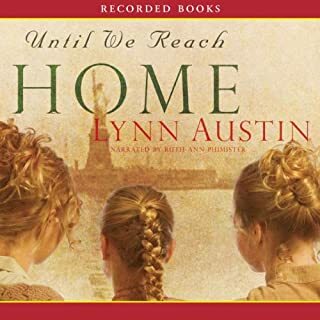 All I can say is, listen to this book, and the others she has written, and you will want Lynn to write another hundred books. Lynn Austin does it again! She creates meaningful characters with depth and a story line of historical interest. An intriguing view into the lives of four women during World War II. Austin's work here is deep, thoughtful, and very well crafted. An absolute pleasure to listen to. Once you start, you don't want to stop. The characters are engaging, and each one is a favorite with a compelling story of their own. I think this is one of Austin's best. The narrator did a fabulous job as well; really capturing the qualities the of characters. I wasn't sure how I would like this story of women's rights, but I did end up enjoying it. It pulled me in and I couldn't wait to hear more. I loved it. I wanted more.